These custom day-of wedding pieces were designed for a Sable & Gray Bride, Katherine who was married in August, 2016 in northern Michigan. She and her husband, Robert tied the knot in the beautiful, quaint lakeside town of Leland, Michigan. We also created their adorable "Just Married" banner, which Katherine & Robert carried as they walked from the chapel to their reception venue, with their wedding guests in tow. Their custom seating chart featured hand-lettered chalk guest names written on silver platters of different shapes and sizes, which were displayed on a table as guests entered their gorgeous tented reception. 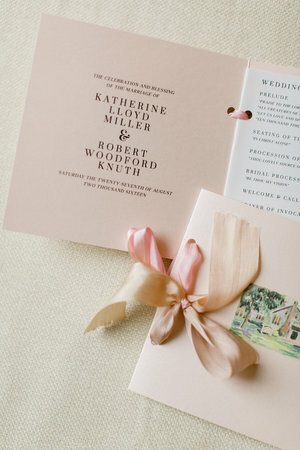 One of our favorite touches of the day? The custom wedding menus that we created for them that wrapped around each guest's loaf of bread on their place setting! Such a cute idea! A huge thank you to Cory Weber Photography for the beautiful images. 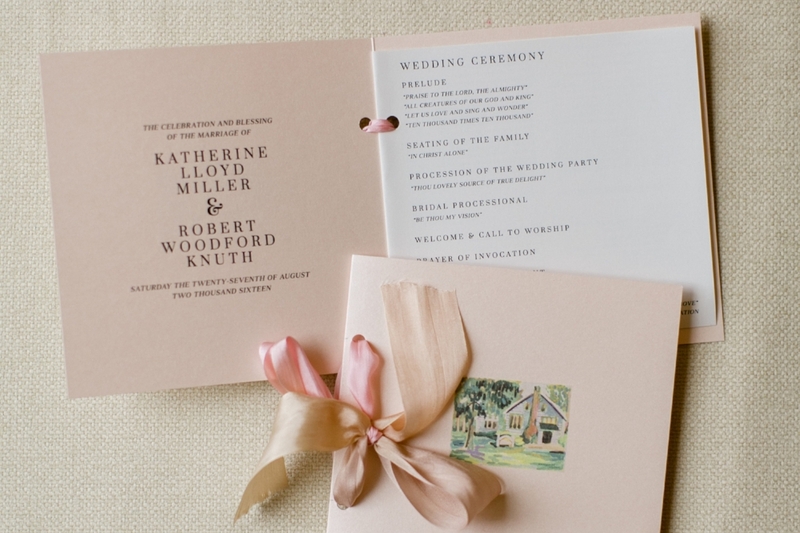 Want to see more of the gorgeous photos from Katherine & Robert's big day? Visit our blog here. Interested in making these pieces your own? Please contact us here for more information.